We don’t eat pineapple around here! Not when blueberries are so darn delicious! 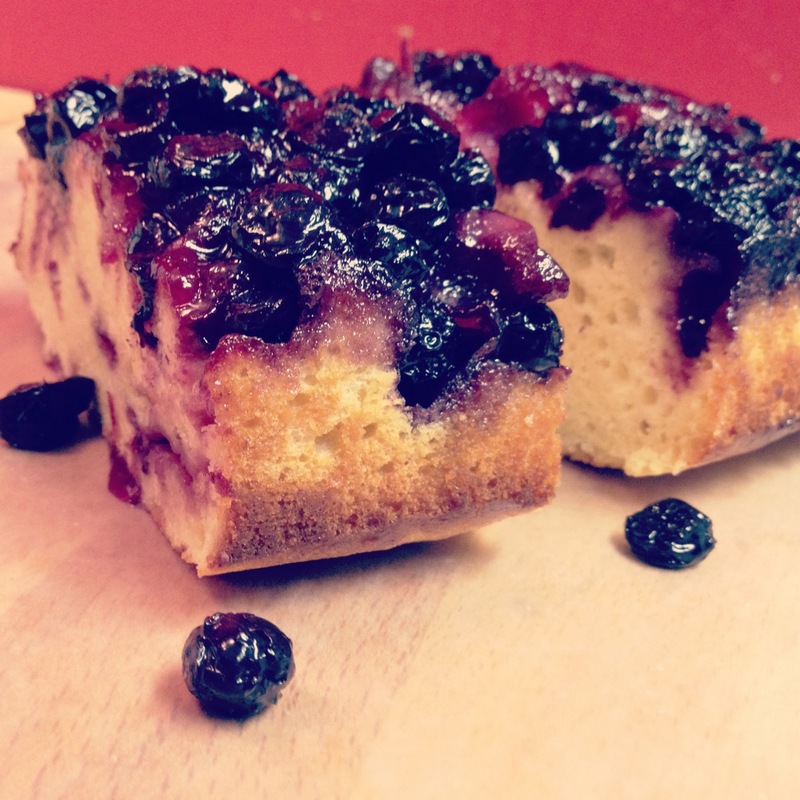 This fluffy lemon cake is sweetly complemented by fresh, tart blueberries. I hope you enjoy this TastyThumb original! Heat oven to 375F. Combine butter and brown sugar in a loaf pan. 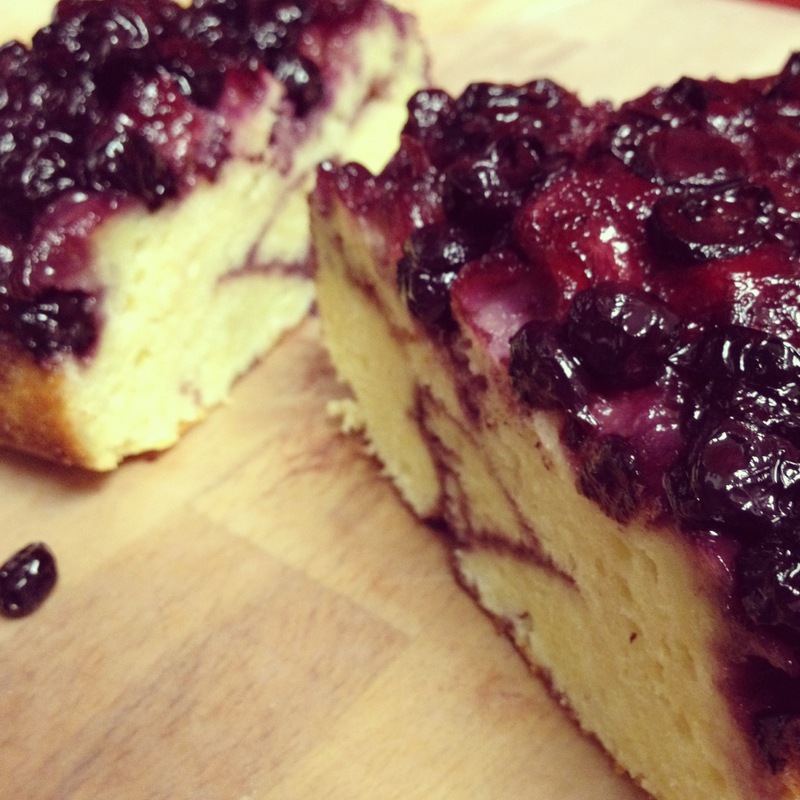 Cover with fresh blueberries and lemon zest. Set aside. In a mixing bowl, beat egg whites until firm and soft peaks form. Set aside. In a seperate mixing bowl, beat egg yolks until light and creamy, then add sugar and lemon juice. Gradually incorporate flour and milk, mix well. Fold in reserved egg whites and pour batter over blueberries. 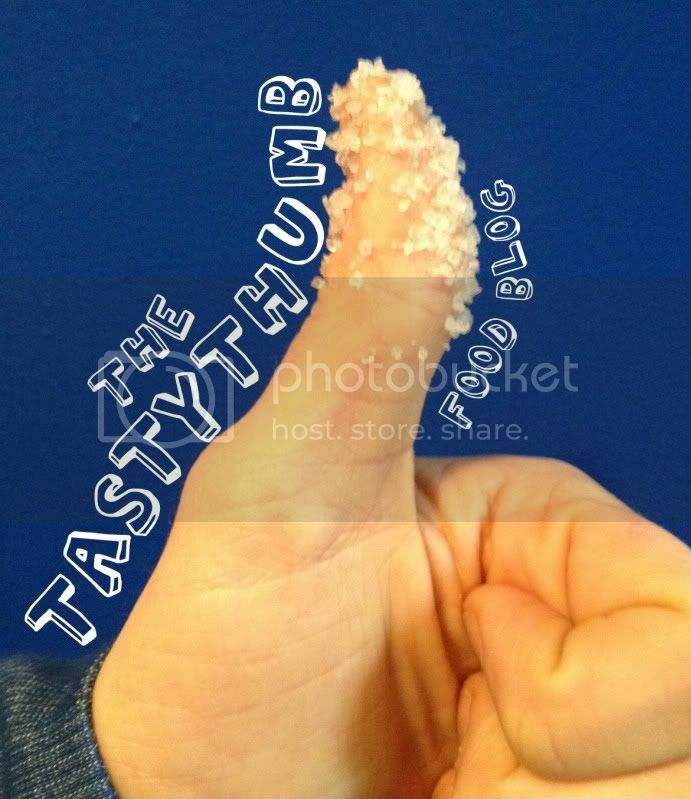 WOW, TASTY THUMB! YOU HAVE DONE IT AGAIN! I have some free time for baking now; so I will be trying your recipes!